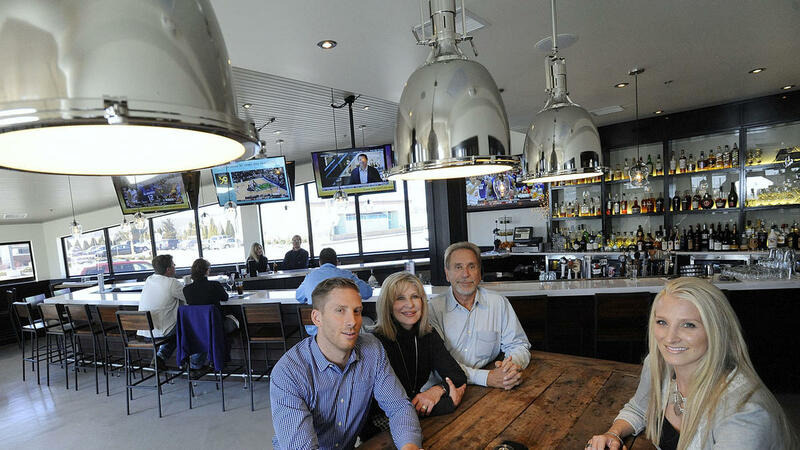 Pictured here in the new patio room at their family-owned restaurant, the Dellis family is celebrating 30 years of good times and crab cakes at Michael's with a jam-packed, two-day celebration featuring special performances, giveaways and discounts. Celebrating its 30th anniversary year, Michael's Café, a family-owned and operated restaurant known for its award-winning crab cakes, announced the opening of The Patio at Michael's Café, its new outdoor patio and lounge. During the weekend of Friday, April 25- Sunday, April 27, Michael's Café will kick off the opening with food and drink specials, live music and the reveal of a new bar menu. "Plump, delicious cake"The plump, delicous cake at this convivial bar and sports-themed restaurant is bound with egg and bread with a hint of Old Bay. Available in two sizes, 5 ounce ($13.50) and 10 ounce ($26), both are served as a platter with a choice of two sides.